BC Rilski Sportist is just a win away from winning the bronze medals in Bulgaria. 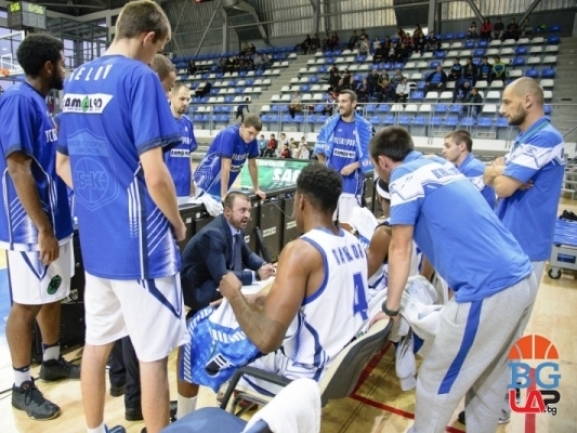 The Samokov team defeated BC Akademik Bultex 99 by 77-56 away from home and can finish the job in its gym on Tuesday. After an even start Rilski made a 10-0 run to the end the first quarter and pull away. They continued playing harder in the second period and at the break the difference reached 21 points. The visitors had no problems in the second half and won convincingly to get the important victory. Sheldon Jeter had 18 points for the winners as Travis Taylor added 14 and 8 rebounds. Nikola Maravic was the top performer for the hosts with 12 points and 7 rebounds as Aleksandar Gruev and Vasil Mihaylov had 9 points apiece. And the winner is Blokotehna! Copyright 2008 Balkan International Basketball League (BIBL). All Rights reserved. No portion of Balkanleague.net may be duplicated, redistributed or manipulated in any form. By accessing any information beyond this page, you agree to abide by the Balkanleague.net.